What apostle Paul instructed the early Christians at Thessalonica, applies to all of us even today. That is why we’ve kept Prayer as one of our core tenets for the church.  ACFI is a church that is built and nourished on the foundation of Prayer. We believe that every Christian is called to be a Prayer Warrior wherever God has placed him / her and we equip the saints with following opportunities and grow as a Christian in prayer. Highly encourage you to plug into at least one if not all. Last Friday of every month, we have Watch Night Prayer between 9 PM and 12 AM where ACFI as a body of believers come together to stand in the gap pleading for the Nation, ACFI and Personal needs of members of the church. It is an awesome time of Praise, Worship, Adoration, Prayer and Supplication. Would you answer the anguish of our Lord? Would you be the one man / woman whom God is seeking for? We thank God for the harmony in diversity that He has blessed us, with people from all over India. Every first Friday regional language groups within ACFI get together for a deep study of ‘His Word’. An important part of this study is Praise &amp; Worship at the beginning for a mighty move of the Holy Spirit to break open the Word for us. At the end, we pray for various prayer requests that have come during that month to us as a church and also pray for the needs of members of ACFI. Look no further than His Word for your healing or miracle. Find a language group that suits you and if none, do reach out to one of the elders of the Church to help identify one. Every Sunday, we ACFI, as a congregation meet at 10:00 A.M for our Worship Service. After a time of powerful Praise and Worship, we have a dedicated time of prayer inviting His presence amongst us and committing our body mind and spirit into His hands for a mighty encounter with Him. At the end of Service, we pray for the prayer requests received during that week. Upon consent, we print prayer requests received via various channels in our weekly bulletin so that members can keep those in their prayer throughout the week. We have an ‘eMail Prayer Group’ established in the church who are informed about any Prayer Requests received so that we provide Prayer Support at the very moment when needed. Few members of ACFI also meet with people one on one or with families to pray for special / specific needs as requested during the week. We all have heard the worldly advice ‘don’t take it personal’. Well, we Christians want to take certain things personal. Calvary, Cross, Jesus’s Body, Blood and above all His Resurrection is very personal to each and every one of us. Although not specifically instituted in Bible, the significance of 40 day observance is seen in many places in the Bible. Very specially, it marks the start of a 40-day period which is an allusion to the separation of Jesus in the desert to fast and pray. Let us take the call in Ephesians personal and ‘Be imitators of Christ’. Every year during the season of lent, we come together for a ‘Prayer Call’ on Wednesdays between 9 PM and 10 PM CST. We spend this sacred time together to meditate and pray on the ultimate sacrifice of our Lord on the Cross of Calvary. Suggested Prayer points are published on a weekly basis to enable callers to focus and pray. Are you lonely / lost / hurting? May we love and minister to you with our Prayers today? Please click here to send a prayer request or Email your prayer requests to [email protected] and we will be glad to join you in Spirit to cry out to the Lord in prayer. Oh what peace we often forfeit. Oh what needless pain we bear. All because we do not carry, Everything to God in Prayer!